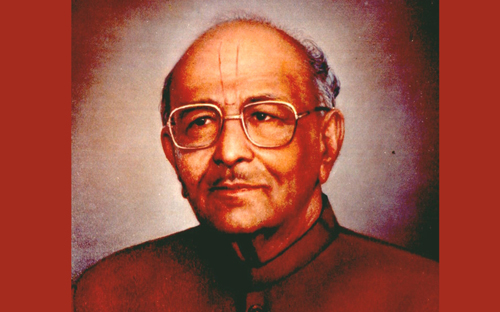 Shri Madhodas Mundhra was born to Seth Girdhardas Mundhra and Smt Surajdevi in Bikaner, Rajasthan. He was blessed with a reserved, thoughtful, pedantic, broad minded, benevolent, pleasant, efficient and polished personality. Over the years he grew to be loved by all and held in the highest esteem within the country and abroad. 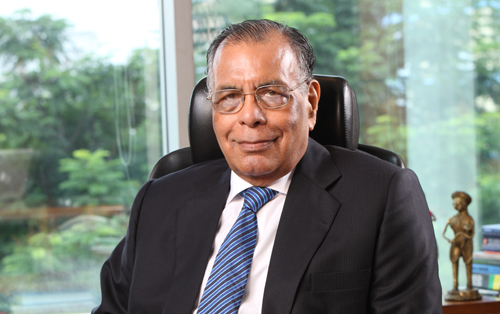 He was globally acknowledged as one the foremost entrepreneurs to hail from India, by virtue of his sheer dedication and efforts leading to unparallelled contribution to the Construction Industry and other businesses. However, he was always true to the selflessness within and wholeheartedly supported various social and cultural initiatives throughout the country and came to be known as a leading patron of social welfare activities. In the year 1955 he set up Bharatiya Sanskriti Sansad in Kolkata, which is one of the premier Cultural Organisations working for preservation, promotion and expansion of Indian Culture, Traditions, History and Heritage. He built Shrimati Surajdevi Mundhra Satellite Hospital at Bikaner, in the memory of his mother. The hospital has state-of-the-art infrastructure and is still committed to the service of people and the greater good of humanity. 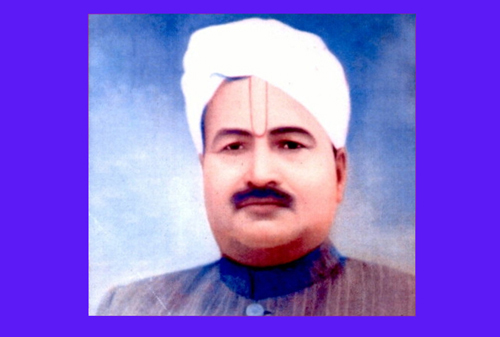 Under the banner of his trust in Kolkata, Shree Charitable Trust, he became the founder-President of Shri Girdhardas Mundhra Sikhshan Sansthan in Bikaner which was the parent body governing Institutions like Girdhardas Mundhra Ratri Vidyalaya and Girdhardas Mundhra Bal Bharati Secondary School as well as Bharatiya Vidya Mandir Shodh Pratisthan, which is one of the leading research institutes of Rajasthan. He has always been forthcoming with his assistance towards any organisation working for social welfare and upliftment, education, literature, culture, religion and philosophy. He was always eager to participate in any initiative striving for social ethical and spiritual regeneration and upliftment. Shri Mundhra’s home town of Bikaner always had a special place in his heart; he never forgot the place he hailed from. He remained committed to donate to various charitable causes in his homeland. He always rushed to the aid of Bikaner at the time of need. During famines he would donate selflessly and would personally participate in relief work through the various organisations set up by him. 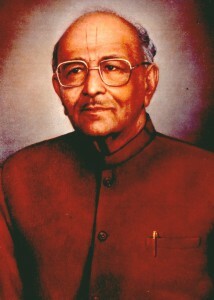 Shri Madhodas Mundhra was known as an industrialist par-excellence and an accomplished, successful businessman as well as an active advocate and champion of Social Welfare. But he also passionate promoter of music and arts, had deep interest in Philosophy and was a consummate writer. He has many appreciated literary works like ‘Raso Vay Sa’ and ‘Bharatiya Tatwa Chintan Ek me Anek’. Today Shri Madhodas Mundhra is no more, but his legacy in the form of the various institutions he created and his memory among the various people whose hearts he touched, live on.